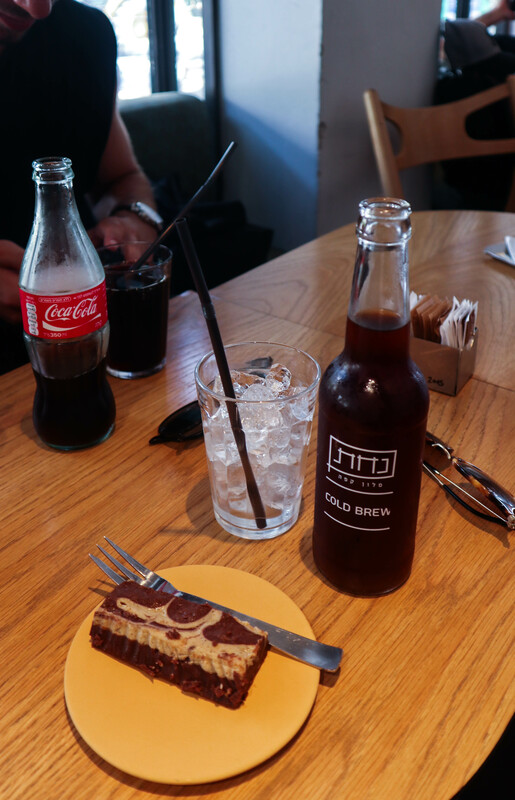 After exploring the city of Tel Aviv in the morning – because doing it after 1 PM will make you think you’re in the Sahara– some refreshment were necessary. 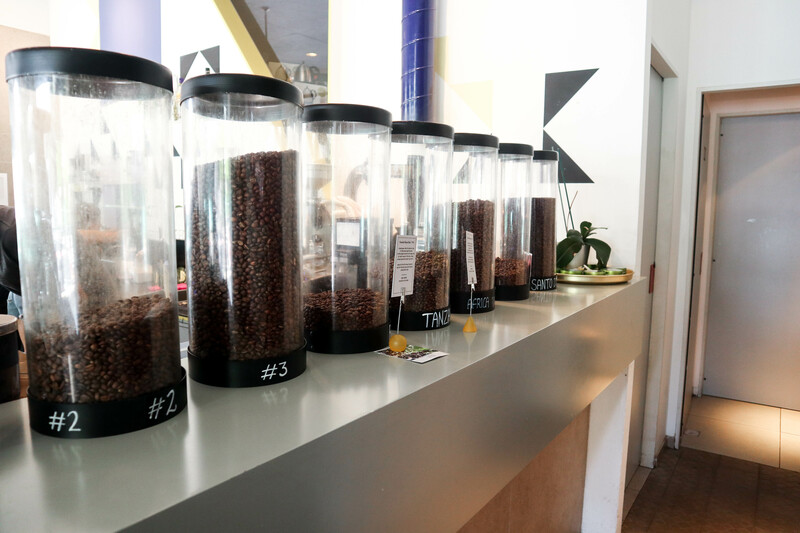 Nahat is a nice coffee bar (aka. 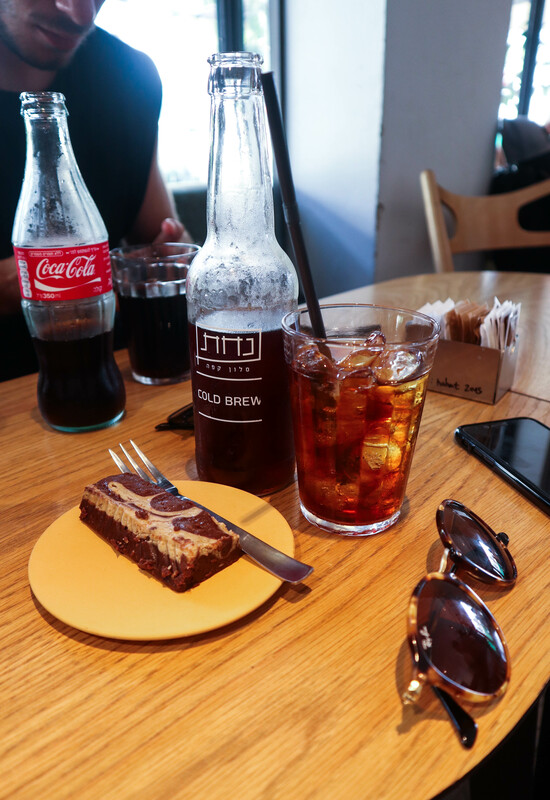 hipster heaven) for a small pitstop before heading off to the beach. 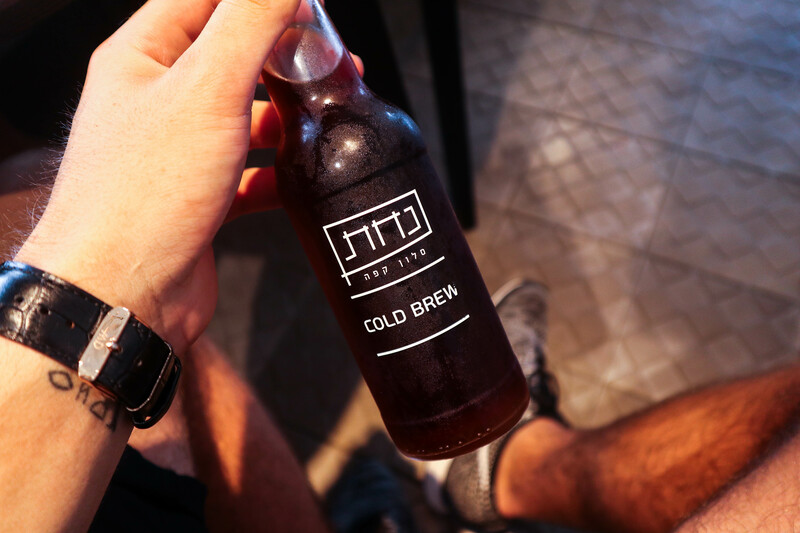 I took the Cold Brew. It’s actually just a fancy name for coffee in a bottle, with no added sugars and no heating when being processed. Although it looks like Coca-Cola, it’s way more healthy and doesn’t have any calories. Oh and if you’re there, add the brownie bar to your order. 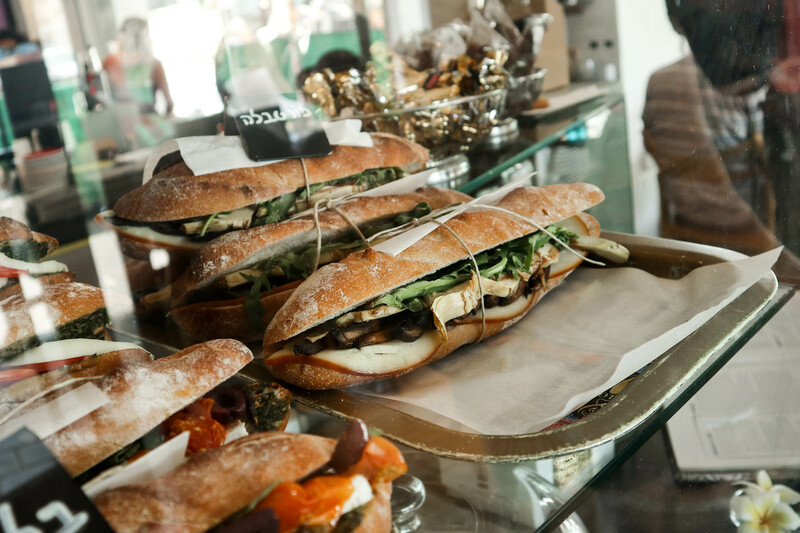 After walking that many kilometres in the city, you deserve a treat, right?